The B1000 appeared in 1961 and remained in production for almost 30 years, surviving German unification by less than 2 years. In the immediate post-war period, the German car industry, in both east and west, initially continued to build cars based on pre-war designs. As Cold War divisions forced East and West Germany apart, the resulting two countries each began to develop new vehicle designs. The German Democratic Republic (DDR) nationalised vehicle production and brought it all together under the IFA group. 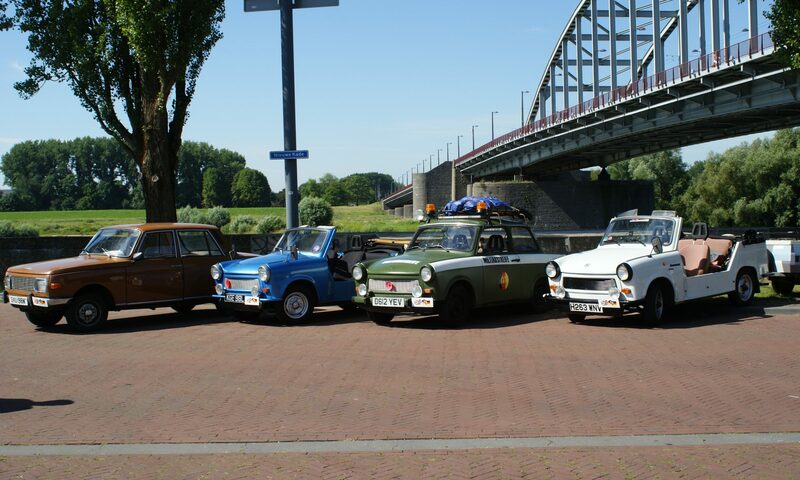 Various new vehicles were quickly developed to replace the pre-war designs and, after a few more years production, stabilised on the familiar Trabant and Wartburg cars, the Barkas van, the Multicar, and the Robur and IFA heavy goods vehicles. Barkas was formed by combining a large engine manufacturing works with the Framo truck and van factory during 1957/58. Engine manufacture continued to be the main business of Barkas with the trucks and vans being built almost as a side line. Initially the existing range of Framo V901 trucks and vans were rebadged Barkas. Production continued at the Hainichen factory, about 25 kilometres from Chemnitz (then known as Karl-Marx-Stadt), where the head office was sited. The project to develop a new 1 tonne commercial vehicle had already started at Framo at the beginning of the 1950s. It was called Project L 1 (Lastkraftwagon mit 1 Tonne Nutzlast, which translates to truck with 1 ton payload). Development of the L 1 continued after the Barkas merger with various prototypes being made until the L 1 became the B1000. It was finally ready for production in 1961 when the first 275 were made at the Hainichen factory. The B1000 was mainly powered by various 3 cylinder 2-stroke engines of 900 or 992cc based on the Wartburg 311, 312 and 353 car units, but slightly modified to change torque and power (40, 42 or 46 bhp instead of 40/45/50+ bhp). The engines were all much improved developments of the engine designed for the DKW/IFA F9 car. With 4 forward gears, the Barkas has a designed top speed of 100kmh / 62mph. Depending upon what you read, the Barkas is either hopelessly underpowered or surprisingly strong. A weakness of the earlier B1000s was the Wartburg clutch which is somewhat small for a vehicle with a potential laden weight of 2240kg – this was improved in subsequent years. The 2-stroke powered B1000 continued in production at the Hainichen factory until 1987 when production was moved to the Frankenberg factory about 12 kilometres from Chemnitz. The simple rugged design was well suited to the poor roads of the former DDR. Features such as the high load capacity, two-stroke engine, and semi trailing arms suspension differed from the more traditionally constructed vans in the West. Front wheel drive made the Barkas easier to load and more variable in its configuration than its West German VW equivalent. Being the only commercially available medium size van in the DDR, the design was adapted for all purposes from police vans, ambulances and minibuses to panel vans, flatbed and tippers. The majority were supplied for public services – private customers in the 1960s could expect to wait over 10 years for delivery. In common with many other things made in East Germany, perceived to be unchanged over many years, the B1000 was subject to many changes and upgrades (most not so obvious) during its three decades of manufacture. The dreaded DDR Stasi (state security) used the Barkas, often disguised as food delivery vans, for covert prisoner transport. Citizens were often snatched directly off the street. Up to five prisoners could be moved in tiny, windowless cells in the rear of the vehicle. Just over 170,000 B1000s were built. Annual production was always small gradually creeping up through the 1960s until it levelled off at around 7000 a year from the mid 1970s onwards. From 1989 the Barkas B1000/1, fitted with a 4 stroke 1.3 litre engine manufactured under licence from Volkswagen, was made alongside the 2-stroke B1000 at Frankenberg. Demand plummeted after German unification – a few odd vans were built in 1991 while the factory experimented with things like fully equipped camper vans in an effort to find a new market for them, but production effectively ended in 1990 by which time the Barkas had been in production for nearly 30 years. Few vehicles from the DDR era remain in ordinary use in Germany but decades after the fall of the Berlin Wall, the Barkas, like Trabant and Wartburg cars, enjoys a keen following amongst vehicle enthusiasts and those nostalgic for the DDR and Cold War era.